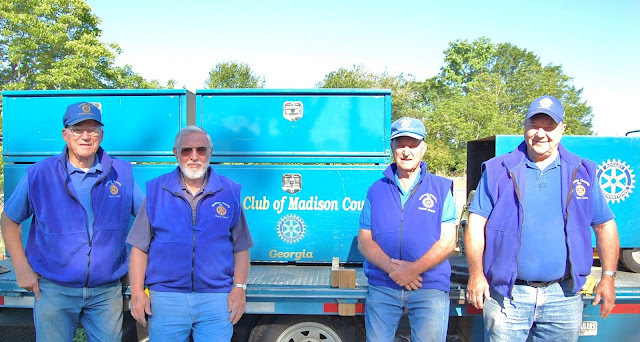 Rotary District 6910 Rotations: Madison County Rotary Club's "Over 80 Crew"
“Age is a case of mind over matter. 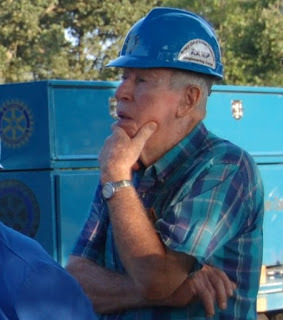 If you don’t mind, it don’t matter.” These words of wisdom came from Satchel Paige, but they are demonstrated every week by six Rotarians in Madison County, Georgia who have reached and surpassed eighty years young. Most people decide to retire and rest a bit as they grow older, but these guys don’t grow older; they grow busier. Almost every week, they meet with younger Rotarians as they build a ramp for someone in the community who needs assistance to leave or enter their home. Sometimes the recipient of the ramp has just left the hospital unable to return home until a ramp made it possible. Other times, a person has not been able to leave their home for weeks or even months without a ramp. Sometimes these guys build ramps for elderly persons, and other times it goes to a person much younger than themselves. And they are thankful for their over 80 health. Using an auger for digging post holes can be an arduous task for a young man, but this group of “Over Eighty Ramp Builders” rarely hands off the hard work to the younger men. A ramp crew varies each time from anywhere between five to fifteen men, and the age range is between about 25 to 85, but it is a rare ramp that is built without these six. They build long ramps, and they build short ramps. They build ramps for people who ask for them and for those that someone else in the community tells them about. They build ramps for those who can afford the materials and ramps for those who can’t. But most of the six who have passed the 80 mark were there at the beginning in 1996 when the first one was built - twenty years ago. Roy Gandy, of the “Over 80 crew,” still organizes the program, having done it for twenty years. Also a member of the noble “Over 80 crew,” Jerry Bond reconnoiters the recipients’ homes to ascertain the best location to build the ramp. Jerry Coutant joined the group a couple of years later and has stayed with it every year as has Jim Jeffer, despite health issues. James Adams has been a part of the group since 2001. 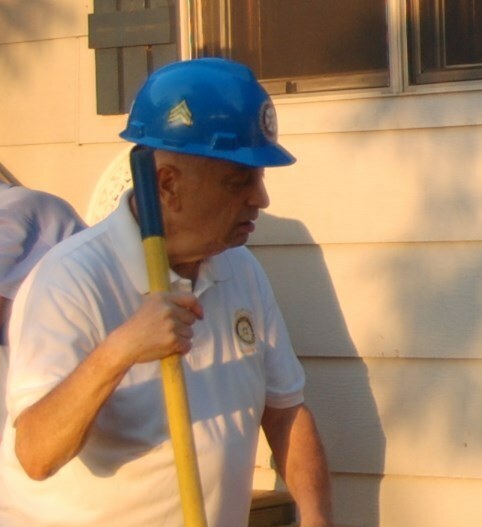 Roy Seagraves has been a Rotarian for only four years, but he started off with a bang, joining the ramp builders his first week as a Rotarian. What will happen to the program when these fellows are no longer able to build a ramp? Well, several younger Rotarians are helping now and getting ready to step into these very honorable shoes. But they need not get in a hurry. No one sees any of the “Over 80 Crew” slowing down yet. 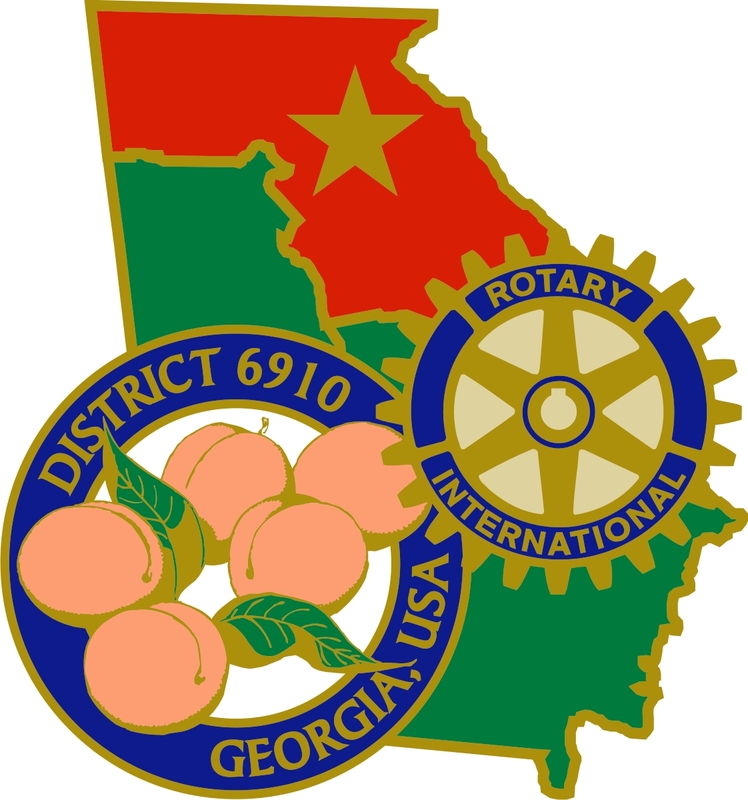 Looking forward to seeing this great group of Rotarians Friday morning!